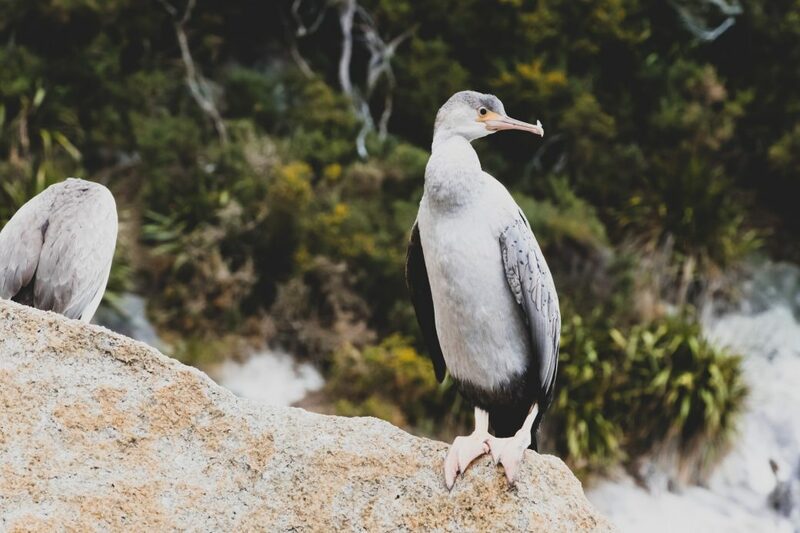 The Abel Tasman National Park: often regarded as one of the most beautiful destinations within New Zealand’s (already) overflowing portfolio of beautiful destinations. We spent a couple of days in the region, as part of our extended road trip around the North and South Islands. Read on for more photos and our vlog showing our experience! 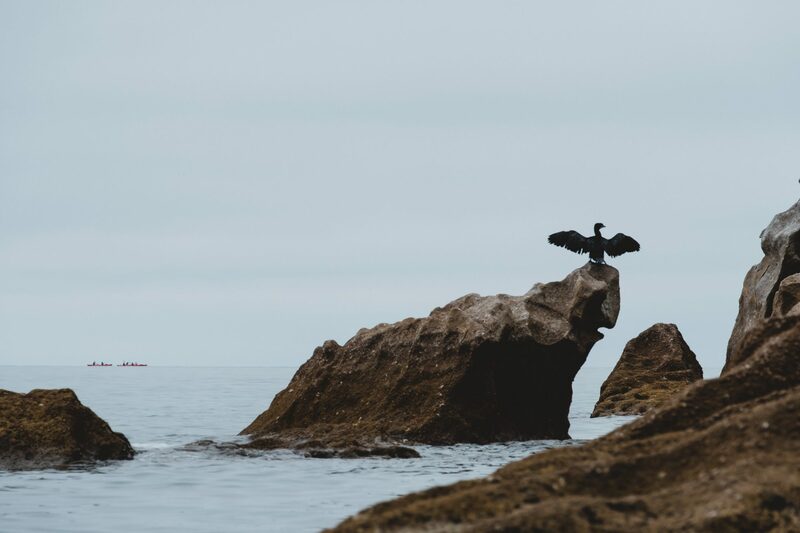 This post is just a small chapter of our extended road trip throughout the North and South Islands of New Zealand. Make sure to check out our whole trip and detailed itinerary within the main post! When you’re travelling between the North and South Islands of New Zealand, you’d most likely be doing so by ferry. 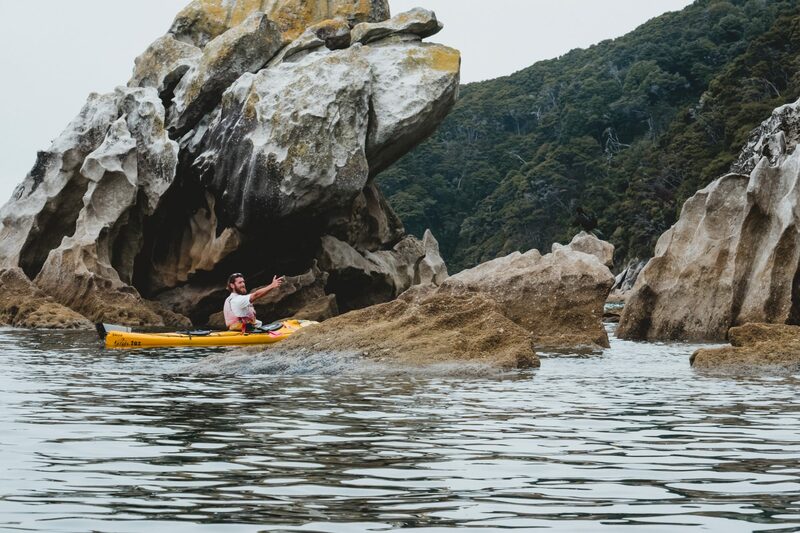 Visiting Abel Tasman is one of the most common first stops in the South Island. Bear in mind it’s still a 3 hour drive from Picton, so make sure you’re well rested on the ferry. Check out the vlog from and subscribe to Joe’s YouTube channel to stay up to date with future videos! 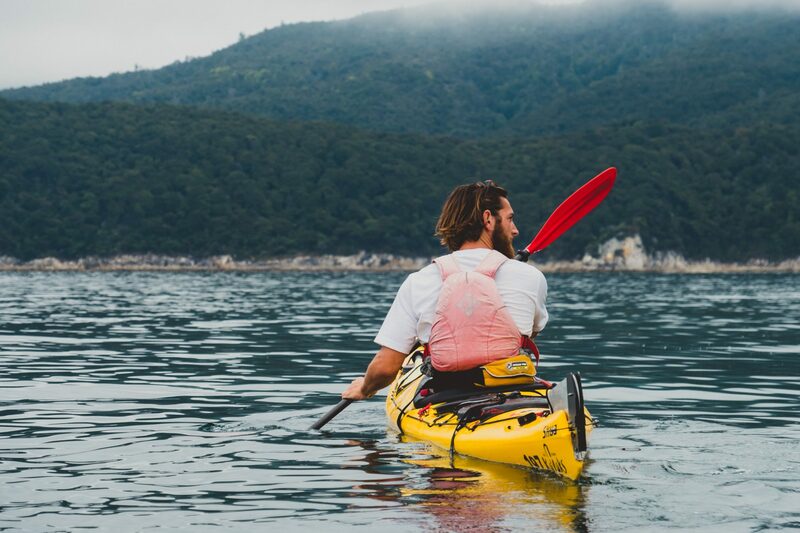 One of the main activities to see the Abel Tasman National Park is kayaking around the coastline. 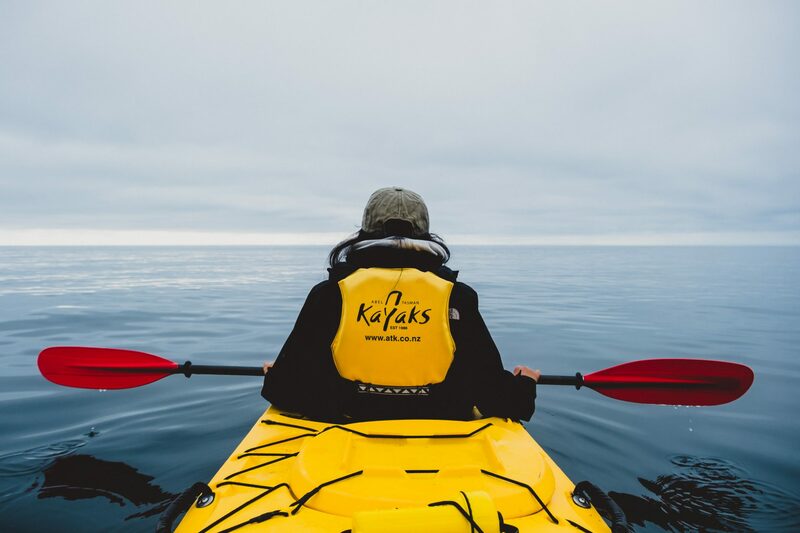 We did a half-day tour with Abel Tasman Kayaks, but they actually have quite a few different tours on offer. Our guide, Gus, highly recommended the two day expeditions. 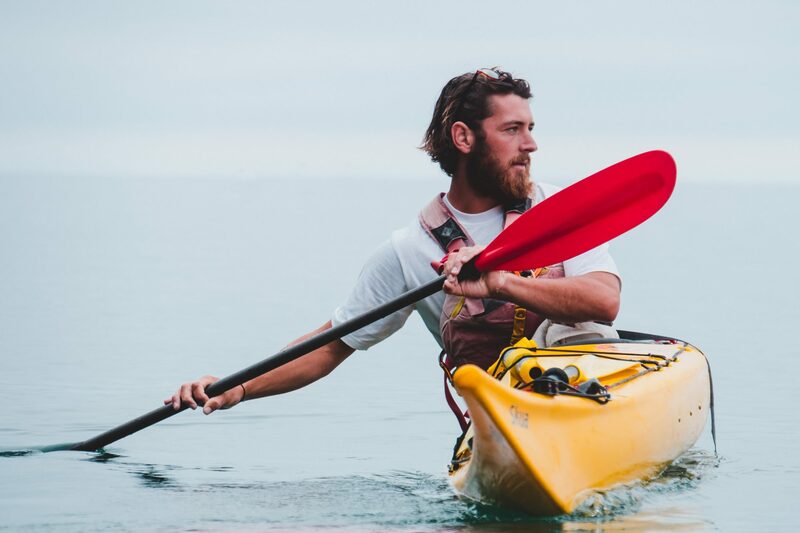 That’ll give you the best options for kayaking, hiking, camping and exploring the national park at a slower pace. On the day of kayaking, we were really lucky to have the water so calm. It made it so much easier to kayak, especially being a first timer. 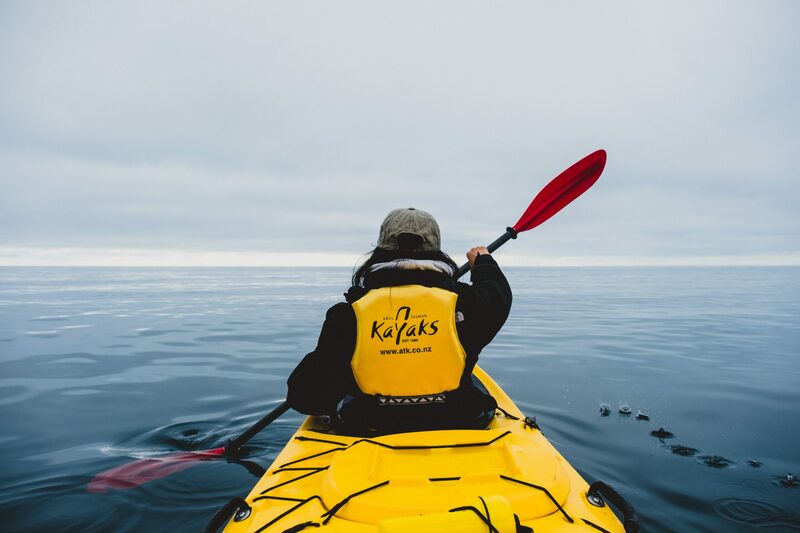 We kayaked around Tonga Island, where we were met with squeals of seals and various birdlife. You do have to keep 20m away from it though, as it’s protected by the DOC. 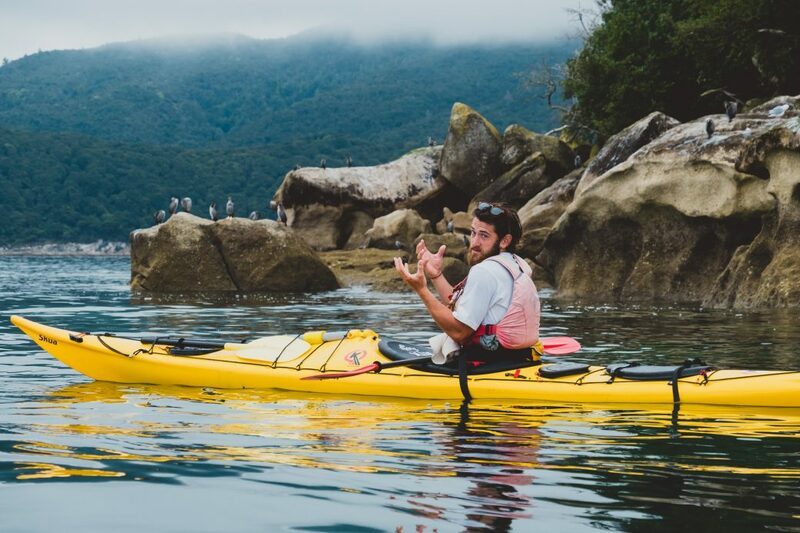 I really enjoyed kayaking and would definitely want to try it somewhere else with epic scenery again. 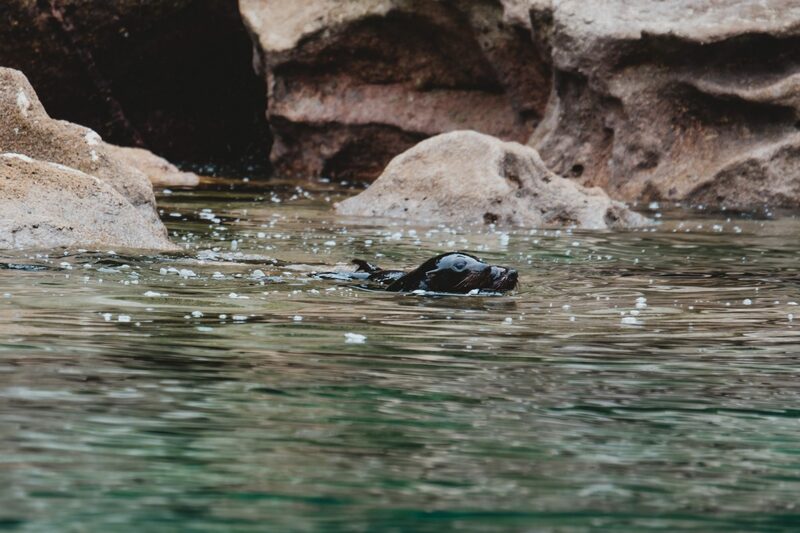 I’ve actually seen photos of seals sometimes even coming up on your kayak, if you catch them swimming about. We had our timings wrong though, as it was nap time for them when we were about. 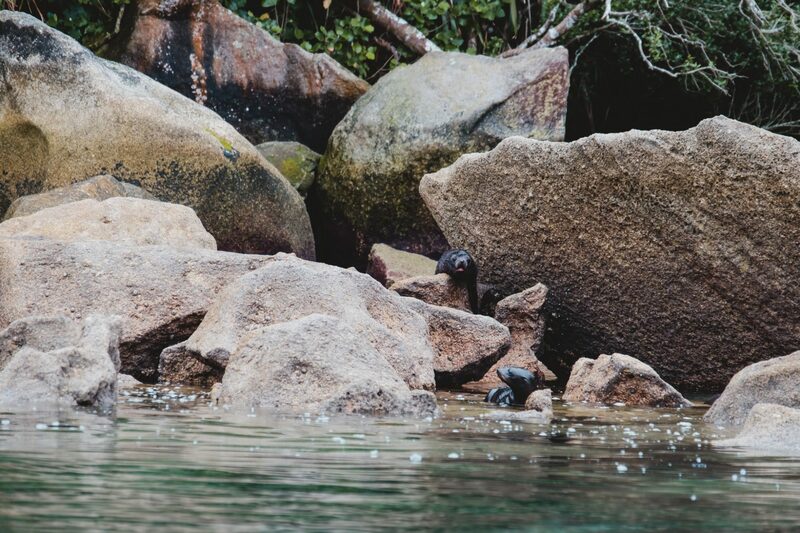 But we did get close to a few baby seals who said ‘hey’. After a couple of hours kayaking, we made it to Mosquito Bay for lunch with views of the incredible blue sea. The half-day tour took around 4 hours and was seamlessly organised for us. Everything was pre-arranged, including all the aqua-taxis, food and various pieces of necessary equipment. 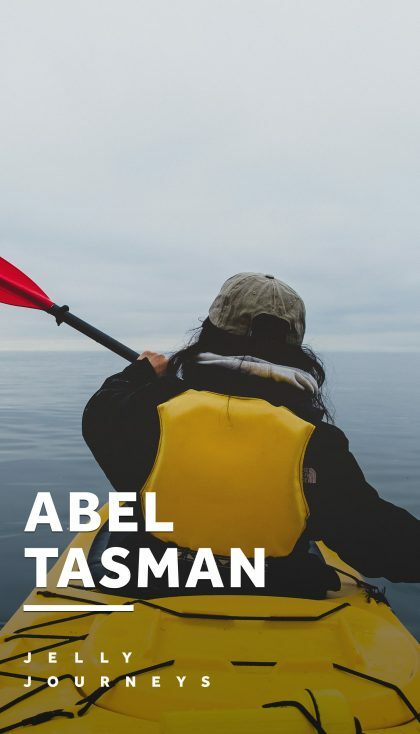 Our experience in Abel Tasman was so good and memorable, and a big part of it was because we stayed at the Adventure Inn. 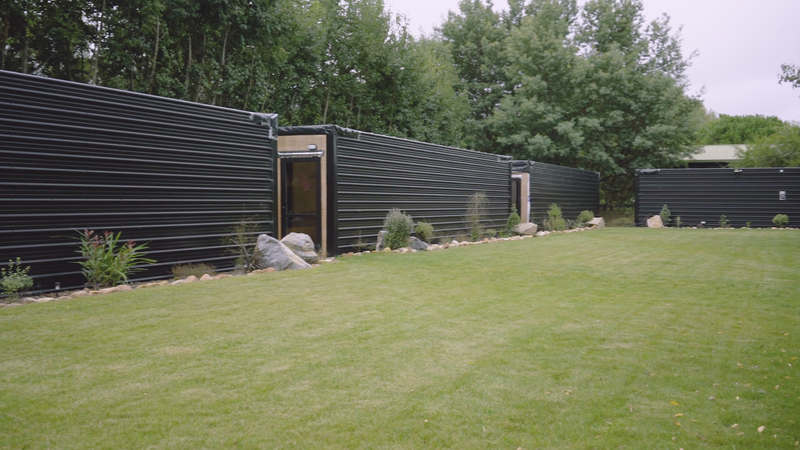 Greg, the owner of the property, lives onsite and has great facilities at his accommodation. We felt right at home and although we were staying while he was renovating, we could see amazing potential for how it’s going to turn out. If everything goes to plan, it should be completed by the end of this year. 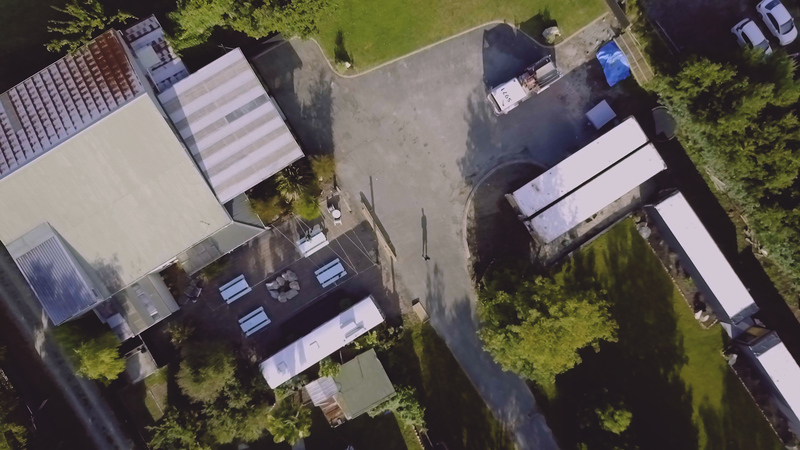 The accommodation couldn’t have been in a more perfect location for visiting the Abel Tasman, as most of the accommodation is actually a ten minute drive away in Marahau, but the Adventure Inn literally couldn’t be closer to the entrance to the park. 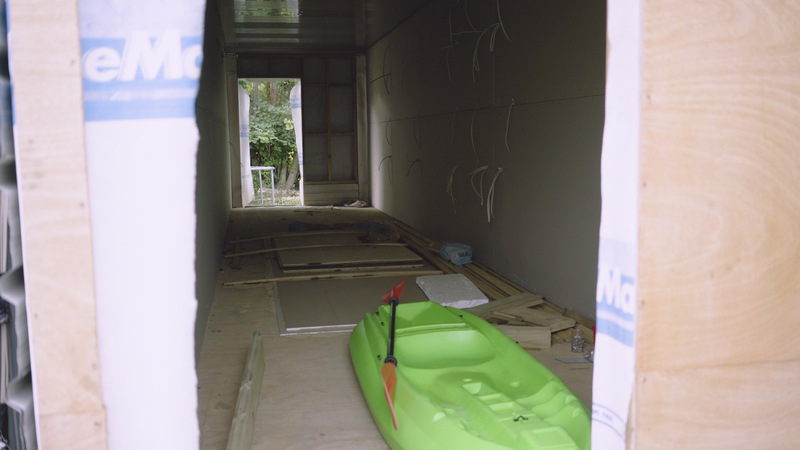 Also, the Abel Tasman Kayaks are basically right next door, which was so convenient. 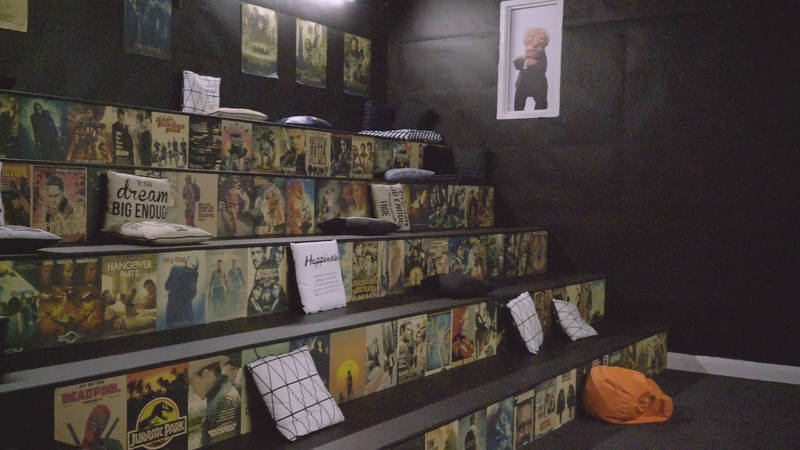 If the cinema room didn’t sway you in the vlog, then meeting Greg would definitely be one of the nicest experiences for the Adventure Inn. 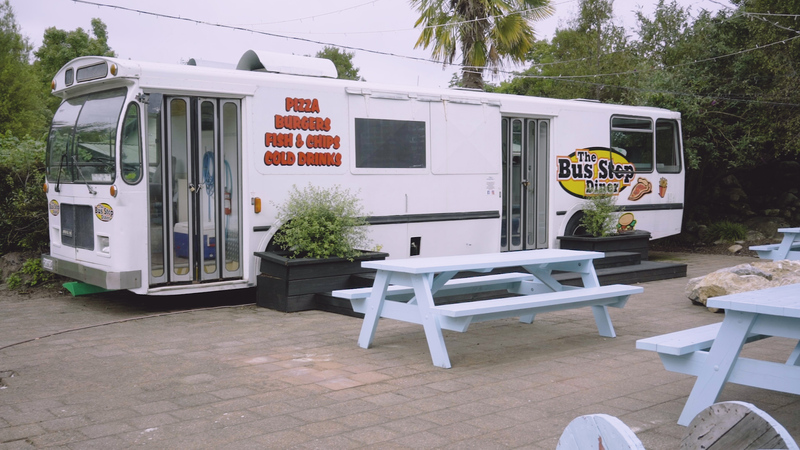 He used to be a driver for Kiwi Experience, so he can really offer heaps of advice for travelling around New Zealand and he seemed to take the time to get to know everyone staying there! Looking back on our New Zealand trip as a whole, I often come back to the memory of when Greg drove us to Fat Tui in his fire truck. That was definitely one of the most amazing burgers I’ve ever had! 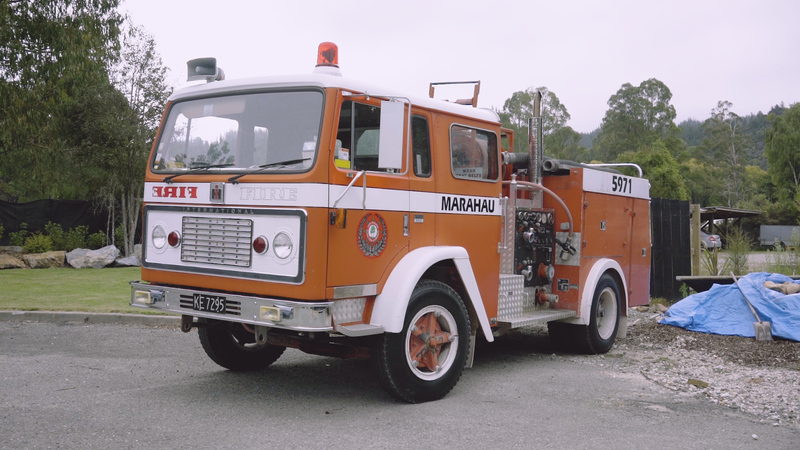 Greg does daily pick ups from Marahau (the last stop on any of the bus tours) to the Adventure Inn and if there aren’t that many of you, then you could request to be picked up in the fire truck! One tip to mention when visiting Abel Tasman, would be to visit in the summer or when you know the weather is going to be good. During the winter, most activities shut down and it probably wouldn’t be great conditions for spending time on the amazing beaches. Although kayaking in the rain would be fun! Follow our 6 week New Zealand road trip itinerary—including accommodation and activities across the North and South Islands—starting with a flight from Brisbane to Auckland with Air New Zealand. If you enjoyed this post, make sure to follow us online across social media and subscribe to our weekly emails to get notified of new blog posts! Join thousands of others and get updates straight to your inbox! Plus, get a massive 40% OFF some bespoke Lightroom presets, instantly. As a British born Japanese, I'm lucky to be able to call London and Tokyo my home. With a life of travel and experiencing different cultures, I want to share my passions and inspire others to travel! With more of a focus behind the scenes (and off-camera), I love the research and planning stages of content creation. Singapore — More than just a layover?